Computer power supplies serve a crucial function - they provide power to all the components in your PC through the motherboard or through direct hook-ups. As you can imagine, it's important then to have a high quality PSU (power supply unit) that can sustain an adequate and stable supply to your components over the long haul. That's why it's important to invest in a high quality power supply - one that can handle whatever you throw at it. A power supply will wear over time so it isn't uncommon to have to replace a unit after it has lived out its life. We carry new and replacement PSUs in all shapes and sizes. 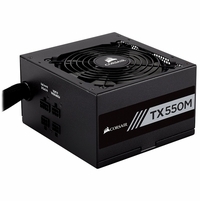 ATX power supplies are the most common size for standard desktop PCs. These can come in a variety of features from lighted to gaming to ultra quiet. Other common sizes are Micro ATX PSUs intended for mATX cases and TFX or Flex ATX power supplies designed for small form factor cases. 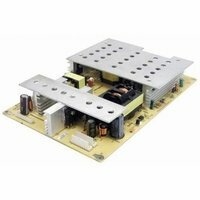 What does a Computer Power Supply do? A computer's power supply unit (PSU) is the hardware that draws power from your wall outlet and converts it to a format of power that your system can use. A power supply will take the alternating current that comes from your wall outlet and turn it into usable, low-voltage, DC power for your parts including your motherboard, drives, and I/O components. What is the most common size of power supply that most desktops use? Most desktop PCs use ATX form factor PSUs. ATX is a format specification so if your manual calls for an ATX unit you can freely choose from our available offerings - the only thing you'll want to be concerned with is total power deliverable (to make sure it exceeds your requirements) and cable management. What types of modular are there? There are four different styles of modular PSUs: Modular, Non-Modular, Semi-Modular and Fully Modular. Modular: The cables plug into the PSU so you can add & remove them as you see fit. Non-Modular: Cables are built into the power supply and cannot be removed. This makes the power supply less expensive to make and the savings are passed onto you. Semi-Modular: A hybrid of Modular and Non-Modular. Usually a basic set of cables are built in with option attachments for additional cabling should you need it. Fully-Modular: Every cable on the power supply can be attached/connected/disconnected. 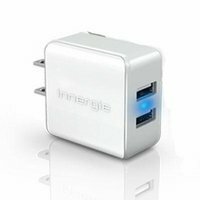 This question is most likely for the PC power supplies, but just in case, we do have many kinds of USB power adapters, including car chargers, USB adapter cables, and Wall Outlet USB adapters. We have a selection of iPhone/iPad/iPod power accessories for your car and home as well. And if that isn't what you're looking for, then try our general power adapters that could help you power other types of devices. 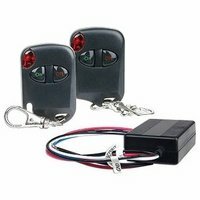 Along with the chargers and power supplies themselves, we also have items that could prove handy for automating power output or controlling power outlets remotely. 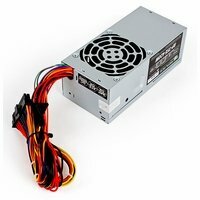 As to your computer power supply unit (PSU) needs, there are several options to choose from. 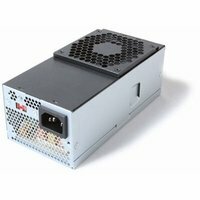 We have a broad selection of ATX power supplies ranging from around 250W to 1200W, making sure that there is a power supply for any customer. A standard office-use PC will probably not need much more than a 380W power supply. Then we have mid-range PSUs for those that like to have a bit more power in their hardware, often system meant to be able to play some games as well as edit photos and video, or other similarly taxing functions. Then as we get closer to 600W and above, we reach the performance level for gamers, over-clockers, and other power-users and computer enthusiasts. These power supplies can support multiple video cards and the latest and greatest hardware with many connector cables and large cooling solutions. 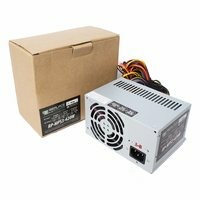 How do I know what power supply to buy? The type of power supply you need is dependant on whether you are starting a build or replacing an old power supply in your current PC. If you're starting a build, then you'll need to consider the energy consumption of the hardware you'll be installing. For home office or small office systems, you won't need a ton of power, as you'll have a minimal amount of hardware to install. As the systems get more hardware to install, or as the hardware becomes higher performance, it will likely need more power, requiring a power supply with higher output and stability. The 80 PLUS Certification is good way to tell if the power supply is reliable, especially for systems that are going to be running more taxing applications, or for long periods of time. If you're looking to replace a power supply in a pre-built system, such as a branded one that you've bought from a retail store, then you'll likely need to find out the model of the power supply in your system. 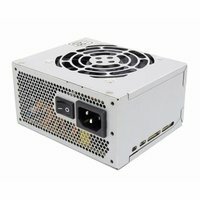 While many can be replaced by an ATX power supply with the same wattage and connections, there are a lot of brands that create unique form factors, requiring the same model, or generic version of the model, be purchased as a replacement. 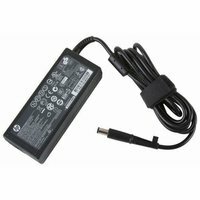 Do we have any laptop/notebook power supplies? We have many laptop power supplies for brands such as Lenovo, Gateway, Acer, Sony and many more. If you can't find a specific model, we also have many universal Lapotp AC Adapters, with multiple tips for compatibility with several types of notebook PCs. How do I know if my power supply works? 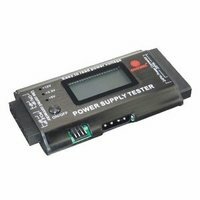 If you are installing a new power supply, or if there is an issue with your computer hardware getting power, try using a PSU tester to determine if the power supply operates properly. If so, then it's good to install, or in the case of a hardware issue, can likely be ruled out as the source of the problem. F 4-pin Peripheral Power Hard Drives, Drives, etc. 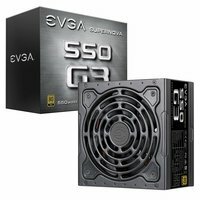 What form factor PSU do I need? The more watts you have, the more devices your power supply can support which means you can add the latest graphics cards, the faster processors, additional hard drives, the works! Take special note to determine if your power supply is rated at true wattage or maximum wattage. A higher wattage does not necessarily mean that your power supply outputs more watts if it is rated at maximum power. True wattage is a more accurate rating of your power supply. 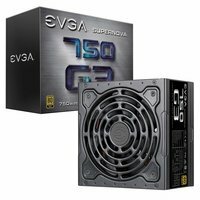 Can my power supply ever have too many watts? Absolutely not! The power supply only outputs as many watts as is needed to power the installed devices in your computer. For example, let's say you have a 480 Watt power supply. 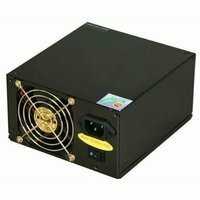 If the devices in your computer require 180 Watts, then that 480 Watt power supply will only output 180 Watts. The advantage of having the 480 Watt is that it can supply the 180 Watts while not being pushed to its maximum capability. This can lead to a longer lifespan for the PSU. The better brands may cost more, but there is no one brand that makes the best power supply. For many, it depends on personal preference or their own experiences. Antec, Seasonic, Thermaltake, OCZ, and Corsair are a few of the big players in the higher-end power supply market. You'll notice that the higher-end power supplies are generally heavier, due the amount and quality of products used in manufacturing the parts. That does not mean that a heavier power supply will always be a better power supply, but generally you will find weight and quality to have a direct correlation to each other. 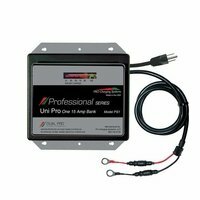 The better power supplies have an efficiency rating of 80 percent or above.